Conservative Senator Lynn Beyak’s defence of the residential school system for Indigenous children has left a Manitoba survivor feeling hurt and calling for her resignation. Conservative Senator Lynn Beyak's defence of the residential school system for Aboriginal children has left a Manitoba survivor feeling hurt and calling for her resignation. "It really, really hurts me," Theodore Fontaine said on CBC's Information Radio on Friday. "But I think it hurts the integrity of the Canadian system and the Canadian belief of goodness and benevolence." On Tuesday in the Red Chamber, Beyak lamented that the "good deeds" accomplished by "well-intentioned" religious teachers have been overshadowed by negative reports documented by the Truth and Reconciliation Commission. After a six-year study, the commission found physical, mental and sexual abuse was rampant in the schools and some 6,000 children died because of starvation or disease while in care. 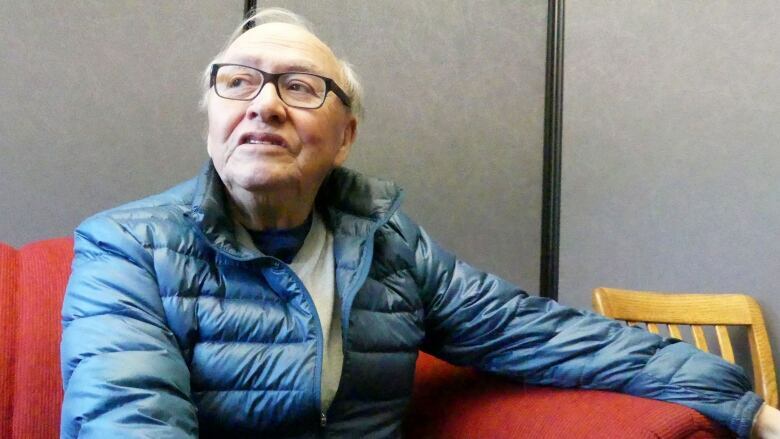 Fontaine was seven when he was sent to Fort Alexander Residential School. He spent the next 12 years in the system. "They are trying to negate what happened to [us]. I am 75; you don't know what happened to me," Fontaine said. "In the first 10 months I was there, I went home and I hated my mom and dad, I hated my grandparents, I hated my family. You know why? They were Indian. That's what that first 10 months had done to me." Fontaine identifies not as a survivor, but as a victor over residential schools. However, he said the impacts of the system are still playing out in subsequent generations. "They can't speak our language because we were hesitant to teach them a savage language. That's what as little people we were inundated with, the fact that we were savages," he said. Beyak, an Ontario senator appointed in 2013 by former Prime Minister Stephen Harper, said she had spoken with Indigenous people who have told her of the positive experiences they had at the schools. Fontaine has remained friends with a nun who worked in the kitchen when he was in residential school. He said there were some good experiences over his 12 years in the schools, but it doesn't negate all of the harm. "They really, really manipulated my seven-year-old mind, and subsequently for the next 12 years, that Indians were no good, that they were savages. That's what I had to live with," Fontaine said. Fontaine invited Beyak to have a conversation with him to hear about how her comments cause hurt and spread misinformation. "It's a sacred house where she sits. The thing you must remember when you sit in a place of sacredness like that, you have to conduct yourself appropriately and not make a spin on what is beneficial to you," he said. Indigenous and Northern Affairs Minister Carolyn Bennett said during question period on Thursday that it is up to the Aboriginal community to decide whether they want Beyak to resign or to apologize.